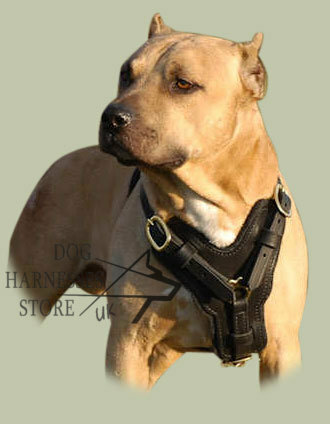 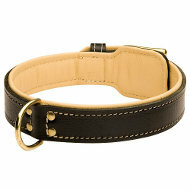 This royal Pitbull harness is a heavy-duty leather agitation harness. 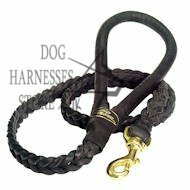 It is a truly beautiful piece of handmade working dog equipment! 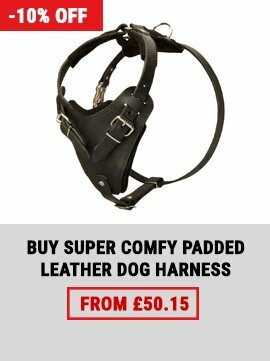 A precisely designed breast plate is lined with extra thick felt to offer supreme comfort for your Pitbull and to absorb the shock of a strong dog hitting during bite work. 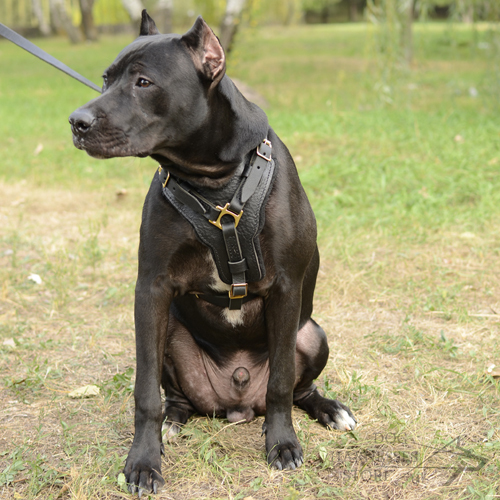 Specially built for the stress of agitation work this padded leather dog harness is designed to fit almost any sized working Pitbulls. 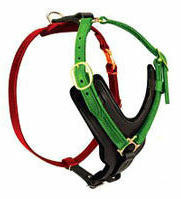 It is five way adjustable so you can adjust it to fit to your dog's dimensions. 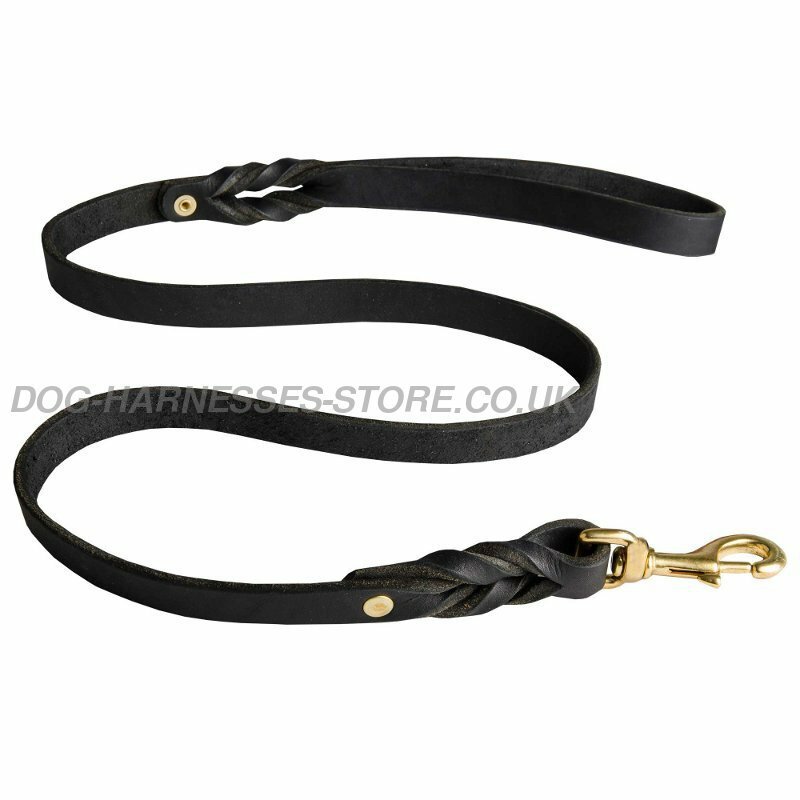 Constructed from finest quality soft and thick leather, this strong dog harness is very comfortable for a Pitbull to wear for training and working. 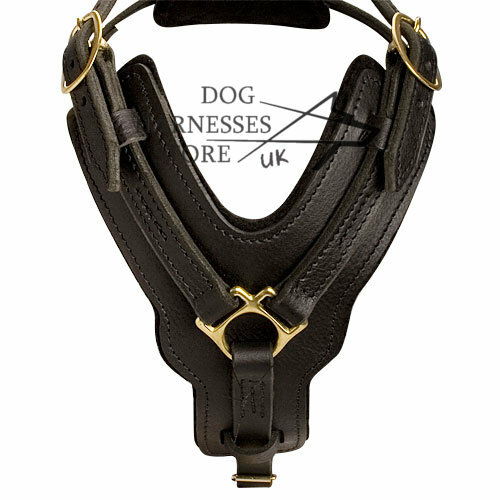 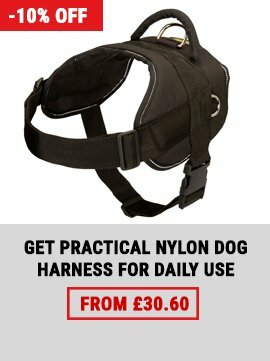 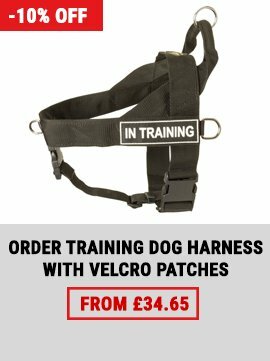 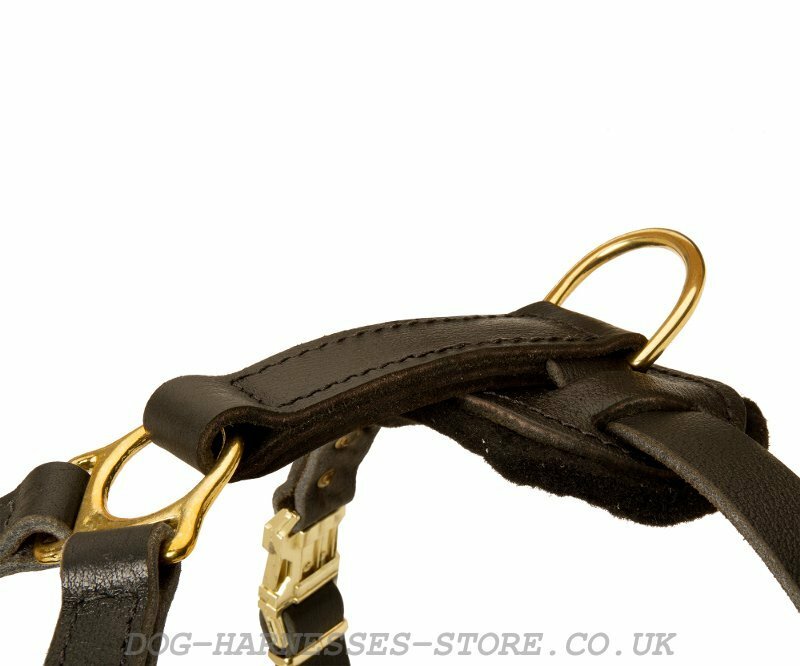 Like all our dog harnesses this one is sewn with polyester thread and is fitted with high-quality solid brass buckles to create a resilient, robust harness, which will ensure comfort and security for years of Pitbull walking and training.